I walked into the office the other day and my monitor had gone to sleep and was on slideshow. I have taken a jillion pictures since Amara was born so it will often be showing old pictures I don’t even remember taking. I usually stand at my desk until the slideshow turns off and the screen turns black. Then I shake the mouse to wake up my computer and start doing whatever I came in to do. That day there was a cute picture of Amara getting one of her toys out to play. The thing was she was getting that toy out of an old used clothesbasket that I had put in the front room where it was easy for her to get to them. It got me to thinking, when did we move those toys and officially convert the spare bedroom into Amara’s Room? When Amara was born, we lived exactly 10 miles from The Kids. That doesn’t sound far but in southern California you don’t measure things by how far they are but by how long it will take to get there! Their house was 5.7 miles from where I was working at the time but it would take me at least 30 minutes to get there after work. I would have a short visit and then I had that 10 mile (think 45 minutes to an hours!) drive home to make – it didn’t take us long to start house hunting! 5 months later, we found the perfect place and it was only 1 mile from them. 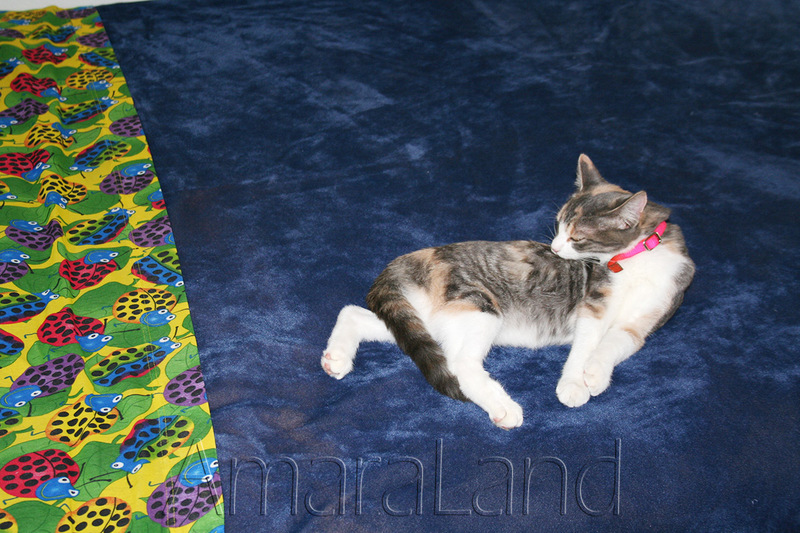 While we moved into this house so that we could be closer to Amara and The Kids the spare room actually started out as a spare bedroom that Amara would use when she slept over. I wanted to keep it child safe so it was nothing fancy. I had found some cute ladybug sheets that I liked and I had used some cutout ladybugs to decorate the top of the valance. Grampy would bring Amara in to visit those ladybugs and to count them whenever she came over. It was our first tradition. Having seen that old picture, I was really curious, when did it stop being the spare bedroom? So I started looking through those jillion pictures. September of 2005, one year after moving in, while it was still the spare bedroom, Twursula had already claimed it as her own. Once Amara was old enough we put her portable crib in there but we still considered it the spare room. Halloween of 2005 and you can see the toys are starting to multiply. Look at how little Twiggy was. 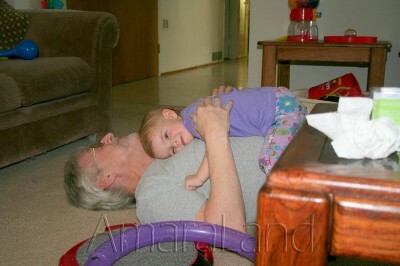 January of 2006 and Amara takes time out from playing to hug her Grandpa. The toys are still in the front room. In early April of 2006, just before she turned 2 years old those toys were still there! Here she is two months after that 2nd birthday doing her Darth Vader impressions and playing with her toys in the front room. 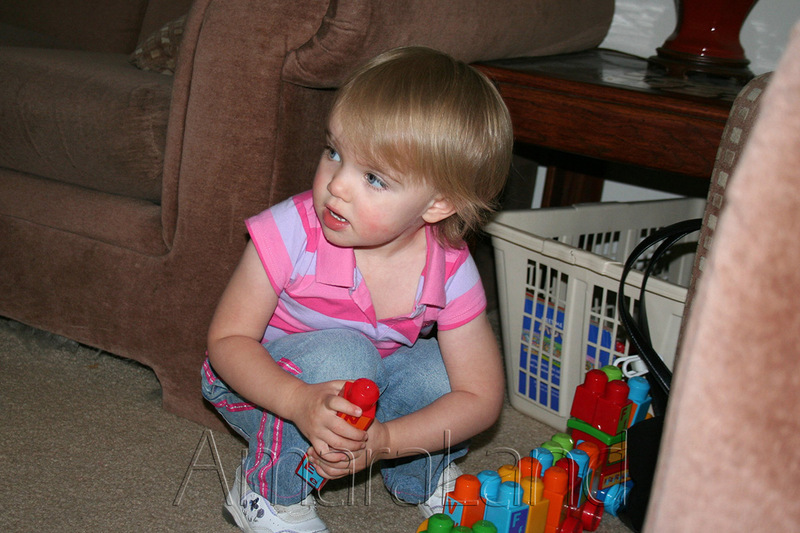 Early in July 2006 and that toy collection in the front room was growing and so was Amara! We were going to have to do something soon. 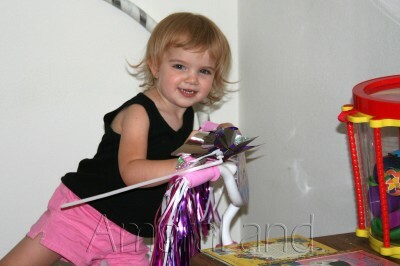 The end of July 2006 brought the official christening of Amara’s room! She was much too big for the portable crib but it seemed silly to get her a big one at this point plus her parents had moved her out of her own crib and put her mattress on the floor – she loved it! This was when we decided to get rails for the spare bed and officially make it hers. She was thrilled! While we didn’t change the bedding or anything we added those rails and moved in all of her toys. She now had a great place to park her trike. We have a very open floor plan and she used to love riding that trike around the house. Everyone was happy with the new arrangement except Twursula! She got Princess bedding and a matching lamp when she turned three and it really became a little girl’s room. We have added new bookshelves and lots of plastic craft drawers filled with fun supplies. I can’t remember when we took those rails off but her room has kept evolving. 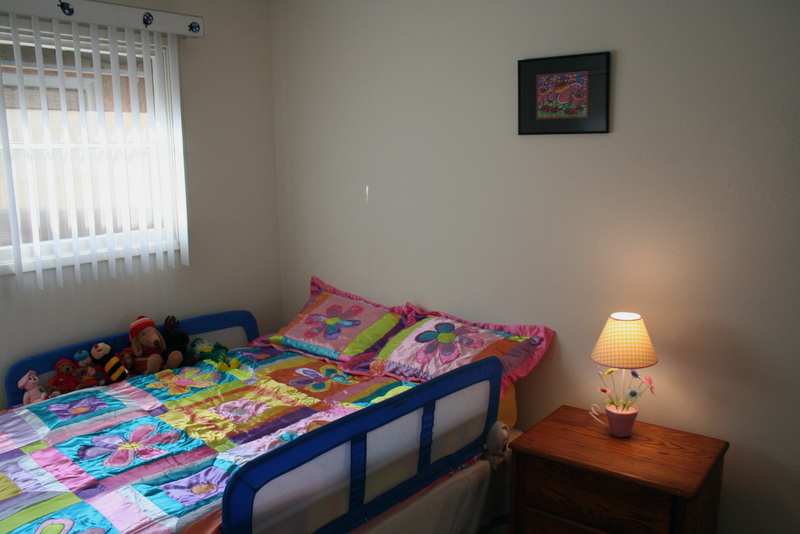 When her Mom and Dad bought her new bedroom furniture, her old dresser came to live in her room here. Since she is here often, she just throws her dirty clothes in the clothes hamper rather than packing dirty clothes into her overnight bag/backpack. I wash them and put them in her drawers and she always has clean clothes here if she needs them. Sometimes they even make it back home! The Princess bedding was replaced by the current purple flowered sheets and a purple reversible quilt that she picked out. when we are surrounded by all this love? This memory was posted in Indoor Fun and tagged Amara, bedroom, Twursula on September 15, 2013 by Grandma Kc. That’s the very nicest spare room! What sweet photos…I know you cherish every minute with her! Sweet hugs! We really do cherish every moment. I’m so glad we live in the digital age where we can capture every moment, too! I loved seeing that pretty little face evolve from a toddler to the graceful, talented young lady Amara is today! She will always be safe and very much loved! I have just turned the girls’ old bedrooms in a suite for overnight visits from the grandkids. I, too, have laundry baskets full of old toys for them. They love coming in here and thinking they are “sooo cool” knowing exactly where everything for them is stored! And cats! They are territorial little fur balls aren’t they? Laundry baskets make it so easy to clean up after them, too! I bet your Grand Room is awesome. 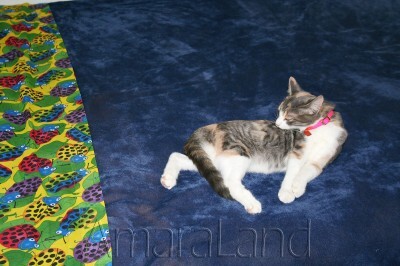 As for the cats – when Amara was little and the cats were little, they shared toys! They got along much better back then! It’s always good to feel at home when you are at Grandma and Grandpa’s. My grandkids have gotten bigger so a lot of the toys have been given to a family friend for her grandkids. Now, our toys are video based or cards – we play a lot of cards. My grandson spent the night Friday and we played 23 games over a two day period and he won 18 times. What a hoot – we have some big laughs about his card playing ability. She really is a sweet heart – Amara that is! Twursula gets a bit grumpy. They’ve had this sibling rivalry thing going since the beginning! Poor kitty. I just loved that picture of a hug for grandpa. It is one of my favorite pictures, too. They have just had the most special bond ever since she was born – and I am so glad for both of them. 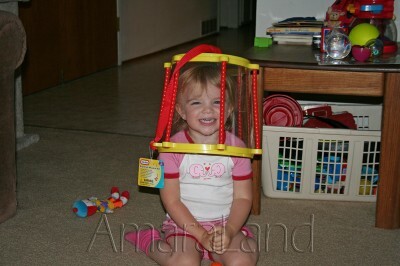 And who taught her the toy drum could be a space helmet? More specifically, who wore it as a space helmet first? Where’s that picture? Huh? Huh? 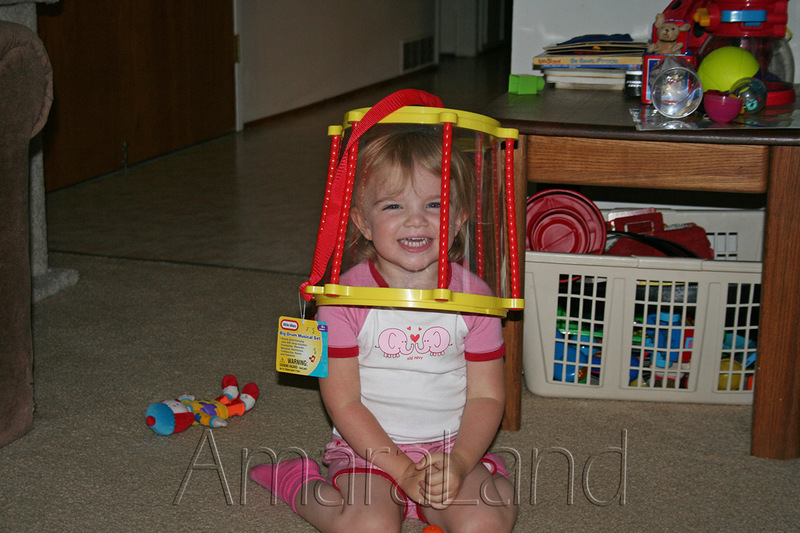 I love seeing those old pictures of Amara! And I can’t think of a better use for a spare room! Don’t tell Twursula I said that! Very nice! And you’re right about judging distance by minutes, not miles. In fact, I don’t even know how far in miles I live from my granddaughter; I only know how long it takes me to drive there! Yes, you know about these things, too. We always have to qualify our arrival time with “depending on traffic”. But I wouldn’t move for anything! This was such a fun read and those pictures are just adorable! I have 2 bedroom house and everytime I’d think of claiming the 2nd one for me ( Crafts or something ? ) one of my sons would move back in. I think you need a third story! This is great on so many levels. 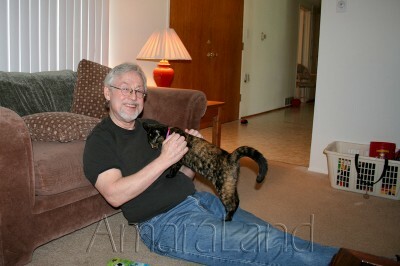 First, I love that photo of Amara and Grampy hugging on the floor. And watching the toy stash grow and grow and grow is so “grandma” like. Even more grandma like is the room dedicated to a grandchild. When we first moved to our current home, the room that is painted like an under-the-sea room (walls covered with hand-painted ocean life) was my youngest daughter’s room for about 6 months, before she moved out on her own as this was just her pit stop from college to living on her own. Now it’s my grandsons’ room. My oldest grandson has used it three times, my youngest grandson never. Still, it’s their room… and will one day get used a lot. I hope. What sweet memories for you and for Amara. Yes, our spare downstairs room became the playroom, then the upstairs room their room with bunks. With ten, for all intent and purposes, they’ve taken over the whole house, yard included. Really though, what better use of my space? None I can think of. The gramerlings have way more toys than their parents had. If I were to visit you, I’d feel right at home. Sweet. Silly Grandma. It was always Amara’s room! 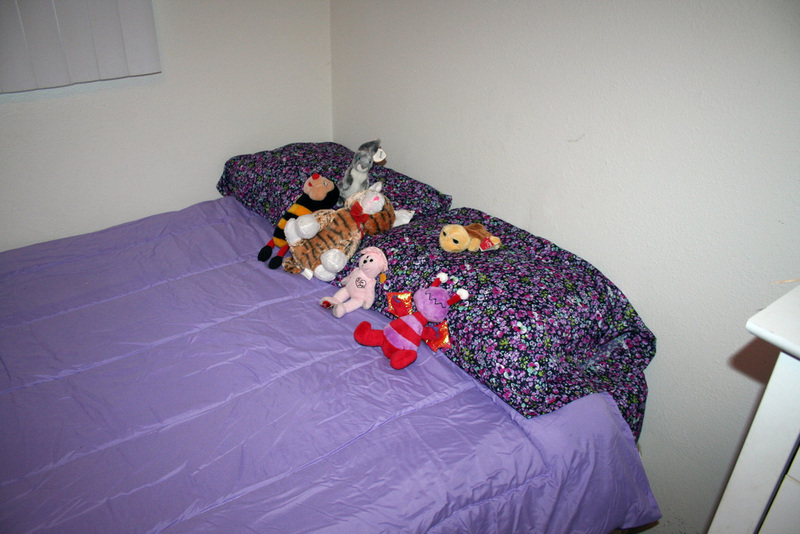 Our spare bedroom was the grandchildren’s from the moment they started visiting – a good place to keep toys in between visits, which, granted, are farther apart than they are for you. What a great series of photos! I loved your comment about how you measure distance in California. I went to LA with my son and granddaughter. Before we left, my son said he wasn’t worried about driving in LA because he had been trained in Houston. Famous last words! LA is much worse than Houston. At one point I think we were going backward instead of making forward progress! I am so glad none of us have allergies. One of Amara’s best friends is allergic to cats so we always get the carpets and furniture cleaned before the birthday parties, it really does seem to help and since her birthday is in April it helps with my spring cleaning, too!